St. Martin's Griffin, 9781250095107, 288pp. 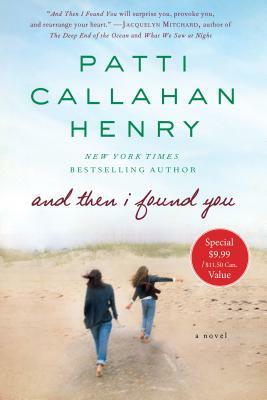 Patti Callahan Henry is a "New York Times" Bestselling novelist. She has written nine novels ("Losing the Moon," "Where the River Runs," "When Light Breaks," " Between the Tides," "The Art of Keeping Secrets," "Driftwood Summer," " The Perfect Love Song," "Coming up for Air" and "And Then I Found You"). Patti has been hailed as a fresh new voice in southern fiction, appearing in numerous magazines ("Good Housekeeping";" SKIRT"; "The South"; "Southern Living," etc..). She has been short-listed for the Townsend Prize for Fiction. She has been nominated four different times for the Southeastern Independent Booksellers Fiction Novel of the Year. Two of her novels were OKRA picks and "Coming up For Air" was an Indie Next choice. Patti is a frequent speaker at fundraisers, library events and book festivals, discussing the importance of storytelling. Patti Callahan Henry is a full time writer, wife and mother of three living in Mountain Brook, AL.